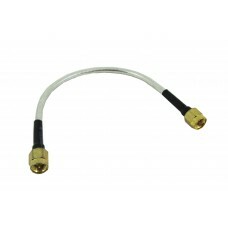 SMA male to SMA male double straight pigtail RG316 suitable for linking your PCB to your antenna. Semi-flexible. These are 17cms long with an impedance of 50Ω. There is a SMA Male connector at each end.